Geoff Hacker and his team have been the champions of automotive “snipe hunting” for the past many years bringing back to life dozens of rare and historically interesting cars that most enthusiasts either never knew existed or had written off as extinct. But that’s not all….part of their ensemble includes the Road & Track Le Mans Coupe, an Allied Cisitalia “Swallow,” the McCormack show car, a Victress S1A and an S4, the lost concept car known as the “Chicagoan.” Not to forget the Gougeon streamliner, a Maverick Sportster, the Bearcage which served as the prototype for the Bill Thomas Cheetah – and many more. Rick and Geoff have been friends and collaborators in research for over 30 years. In the past decade, they have traveled the country together in search of stories and have amassed the largest database, photos, and history known to exist on American handcrafted cars. This result has come from tracking down the founders and the families of people who built these cars as well as the companies that produced them. Having started in earnest in 2006, both Geoff and Rick feel fortunate to have located so many of these individuals who were still with us and were able to tell their story – often for the first time – and have it written down and recorded for automotive posterity. It’s from these first-person interviews with founders, friends, families, co-workers, owners, and builders that they have built a collective database – one unparalleled on American handcrafted cars from the postwar years. Not content with research alone, Geoff and Rick work with museums to host exhibits on these cars including the prestigious Petersen Automotive Museum in Los Angeles, California, the LeMay – America’s Car Museum in Tacoma, Washington, the AACA Museum in Hershey, Pennsylvania, the NHRA Museum in Pomona, California, the Sarasota Classic Car Museum in Sarasota, Florida, the Tampa Bay Auto Museum in Pinellas Park, Florida, as well as others. In addition to exhibitions, they have worked with some of the best publications in the field including Motor Trend Classic, Hot Rod Deluxe, Porsche Excellence, Classic and Sports Car (UK), The Rodder’s Journal, Hemmings Motor News, Hemmings Classic Cars, Hemmings Sports and Exotic, and more. During their research, they have been fortunate enough to both “save” and “acquire” what is now recognized as the world’s largest collection of American handcrafted sports cars – cars from various marques that represent the breadth of sports car design from 1947 to 1970 and beyond. * The 1950 Leo Lyons Custom Merc – the most radically customized “James Dean Mercury” of the 1950s, cover car in 1960, and southern California award winner of the early 60s. This custom car took nearly 10 years from start to finish and involved the legendary customizers Sam and George Barris, the renowned “California Metal Shaping” shop of Los Angeles, California, as well as the Ford Motor Company. * The 1961 Covington Shark Coupe – the most radically altered Porsche 356 coupe in history. It was designed by Henry Covington and built by famed California customizer Gene Winfield. Road & Track Magazine identified this car in 1966 as the most streamlined car in the world. * And others such as the Meteor SR-1, Glasspar G2, the second Kurtis-Omohundro Comet, Almquist Sabre, 1952 LaSaetta – lost Motorama car from the 1952 Detroit Auto show, Victress S1A, and many more. Between them, they own more than 60 of these handcrafted cars and they are finding and saving more each day – cars rarely seen or heard of in recent times but stars in their own right decades ago. * Ron and Sonya Kellogg – historians, collectors, exhibitors and owners of the largest and most focused hot rod / sports car / and automotive photo collection in the world – “The Kellogg Auto Archives” which features the photos of the Dean Batchelor collection. 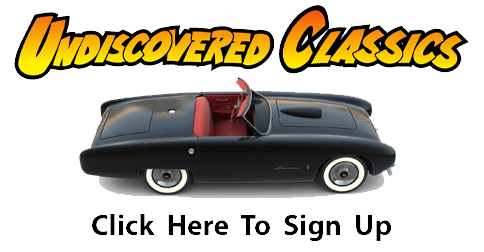 * Dave Perry – historian, restorer, and owner of “Old School Restorations” which focuses on restoration of vintage handcrafted cars from the ‘50s and ‘60s. Click here for more information about Dave Perry. * Roger White – Associate Curator for Transportation Department at the Smithsonian Museum, Washington, D.C.
* Worked with Bill Burke of Petersen publishing fame to recreate and tell the history of his first belly tank – the world’s first belly tank salt flats streamliner. * Spent 3 years working on locating and sharing the first full history of the story of custom cars in America – the Dan Post materials. These original materials – the “bible” showing how custom cars were first conceived and built starting in 1944 – were shared with The Rodder’s Journal so they could publish all and re-introduce all books (1944 to 1955) to the public at large and share this special history. * Collaborated with Thom Taylor and The Rodder’s Journal to find the lost issues of the 1941 magazine “Throttle.” This was the first automobile magazine dedicated to automobile enthusiasts and focused on hot rods and salt flat racing – and early custom cars too. The last issue was published when World War II broke out in 1941. Worked with the team at The Rodder’s Journal which resulted in locating the missing issues, restoring them digitally, and republishing all magazines thereby allowing the public at large to see and enjoy America’s first automotive enthusiast magazine. * Locating and sharing the story of the first manual on how to build your own hot rod called the “Hollywood Hot Rod Manual” by R.J. Peers. * They own one of the first concept cars in the world – the 1937 Gougeon Streamliner and have begun researching the history of these tear-drop, streamlined concept cars – all of which appeared before the 1938 Buick Y-Job. * They have researched, located, and acquired the first documented sports car built after World War II – the 1947 Kurtis-Omohundro Comet – and its sister car of the same name built in 1948. * Rick and Geoff also own what may be America’s most important race car transporter – the 1959 Cheetah/Moon Transporter designed and built by Troutman and Barnes, and are laying the groundwork to share the history of American race car transporters. * The Bohman Special – a handcrafted coachbuilt American sports car built by Chris Bohman – the legacy son of “Bohman & Schwartz.” This was one of 3 sports cars built by Bohman’s organization in the 50s. One of the most important aspects and byproducts of their efforts is reuniting the builders or the families of the builders with their car – often lost for over 50 years. This has happened time and time again involving cars and the families that built them including marques such as Victress, Glasspar, LaDawri, and the Kurtis-Omohundro Comet. Most recently they filmed Leo Lyons and his celebrated 50s custom Merc – “The Leo Lyons Custom Merc.” They brought together Leo and his car for the first time since the mid 1960s. This video is currently in production and will be released later this year on the web for all to see. One of the tools of research is the use of magazines and newspapers from the era. While this is just one tool that they use (in addition to personal interviews, archival research, and sometimes just plain luck), they were dismayed to find that no one single index was available for the listing of automotive magazines in early postwar America. The successful magazines are widely known, but just as there was an explosion of small car companies in the postwar era, there too was an explosion of new automotive magazines – some lasting less than a year. It’s these lesser known magazines that often hold the key to the answers of research questions or form the beginning of a trail that can result in the “aha” moment they are always searching for (they’ve also been known to follow-up on 50 year old ads placed in magazines and have found families, information, and even a car or two this way). Undaunted concerning the lack of an index, they pulled together and collaborated with all large-scale magazine collectors including the folks from the National Automotive History Collection at the Detroit Public Library, the Scharchburg Archives at Kettering University – formerly known as the “General Motors Institute (GMI) in Flint, Michigan, and Dan Kirchner who was part of the “Automobile Motor Vehicle Association” and ran the largest automotive library in the world through the 1990s. The result of this three year effort was the creation of the “Vintage Automotive Magazine Index” – a listing of all American magazines in the postwar era, including information about each issue printed, name changes, publishers, and other identifying information. This is critical to determining the sources to look when seeking out answers to questions that researchers have posed and have remain unfulfilled for decades. They are currently expanding this index to include pre-war years as well as extending it through the 1970s for use by the public at large. Certain films epitomize the period or automotive culture of the times more than others, and no other film does this better when it comes to handcrafted specials than the 1954 film titled “Johnny Dark.” Filmed in 1953-1954 and starring Tony Curtis, Don Taylor, and Piper Laurie the focus of this film was on American Sports Cars, and they selected eight of the best handcrafted specials of the times for starring roles in the film. Geoff and Rick have worked diligently researching this film and the importance of it documenting a point in time when the most important American sports cars being built were those being designed and fabricated by independent and cottage-industry builders. They have tracked down families and individuals that built the cars for “Johnny Dark,” drove as stunt drivers in the movie, and continue to work with the archivists at Universal Studios in supplying and verifying historical details that make it critically important as a historical record of the history of handcrafted specials in America. One of the documents they uncovered were the original production notes from the movie – printed and distributed by Universal Studios as a precursor to the debut of the film. These production notes showed how important Universal felt these cars were to the movement of sports cars in America, and the pains they went to capture the racing and performance detail for the audience. 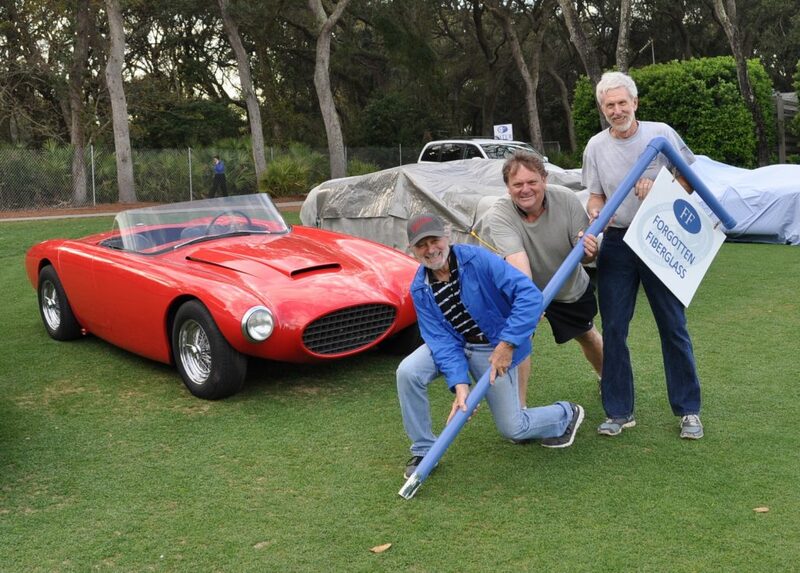 Rick and Geoff have also appeared on Jay Leno’s Garage, tv spots for special automotive projects, and have been heard on the “Gone Autos” radio show. Currently, they are scheduled to shoot an episode with Rick Hendrick/Ray Evernham for their show “AmeriCarna” which appears on the Velocity channel. This is slated for broadcasting in late 2014 or early 2015. Researchers, historians, collectors, speakers, custodians, restorers, writers, collaborators, and as they call it “automotive adventurers…” Geoff and crew seem to have no end to their energy and passion for uncovering handcrafted specials and their history across America.